This short lived combo were from Amarillo, TX and thanks to Garage Hangover website you can read all about them here. Both sides of this 45 are essential with perhaps the 'Taxman' riffed 'Come With Me' the pick. United Artists deemed this side as the 'plug side'. The flip 'I Know' is much more aggressive with the bass guitar high in the mix and some thumping drum action. Check it out on 'Psychedelic Unknowns Volume 9'. 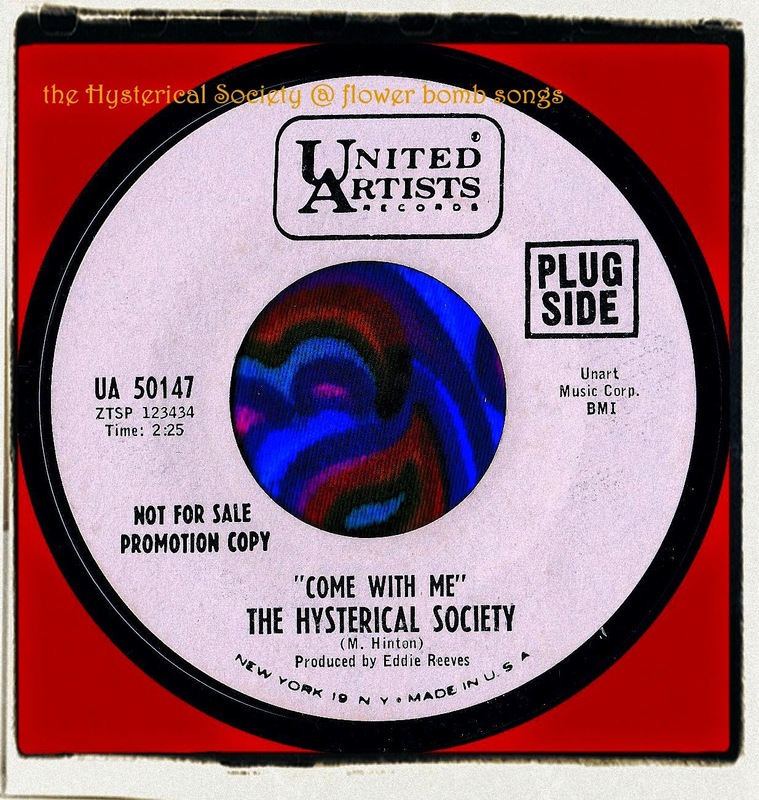 Incidentally, 'Come With Me' has only ever been compiled on Misty Lane's 'Basementville USA!' and never on compact disc. "We did indeed cut six sides while there however the promo copy of the two that you acquired was all that was released. We received copies of the other four, but I have lost track of mine after being passed around to family members for 45 years. There were five rock and roll songs written by Mark and one ballad written by me recorded. Eddie picked the two for release. “Come With Me” was very current for the time – it must have been as the Beatles used the same riff for “Tax Man” a short time later with a lot better result. The flip side, “I Know”, was, I think, a little ahead of it’s time but what is my opinion worth."